One of the books on my shelves that has impacted me is the auto-biography of R M McCheyne (Robert Murray). Ministered in the church of Scotland 1835 to 1843 – died 29 (in a typhus epidemic). “You must be awakened in time, or you will be awakened in everlasting torment, to your eternal confusion.” “Words like these were spoken from the compassion of Christ that resided in his heart”. Luther in his preface to the epistle he says, “This epistle is really the chief part of the New Testament and is truly the purest gospel. It is worthy not only that every Christian should know it word for word, by heart, but also that he should occupy himself with it every day, as the daily bread of the soul” (Luther 1972: 365). 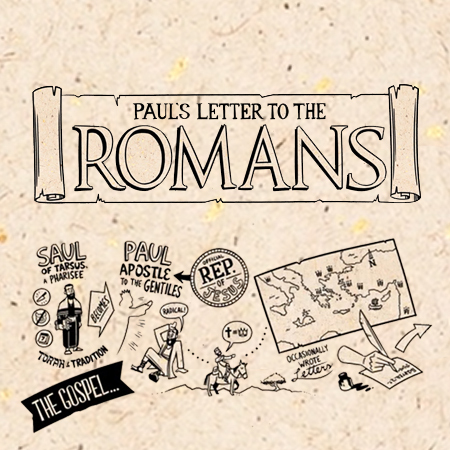 Romans 1:1–7 (NLT) 1 This letter is from Paul, a slave of Christ Jesus, chosen by God to be an apostle and sent out to preach his Good News. 2 God promised this Good News long ago through his prophets in the holy Scriptures. 3 The Good News is about his Son. In his earthly life he was born into King David’s family line, 4 and he was shown to be the Son of God when he was raised from the dead by the power of the Holy Spirit. He is Jesus Christ our Lord. 5 Through Christ, God has given us the privilege and authority as apostles to tell Gentiles everywhere what God has done for them, so that they will believe and obey him, bringing glory to his name. 6 And you are included among those Gentiles who have been called to belong to Jesus Christ. 7 I am writing to all of you in Rome who are loved by God and are called to be his own holy people. May God our Father and the Lord Jesus Christ give you grace and peace.